There’s no accounting for taste. 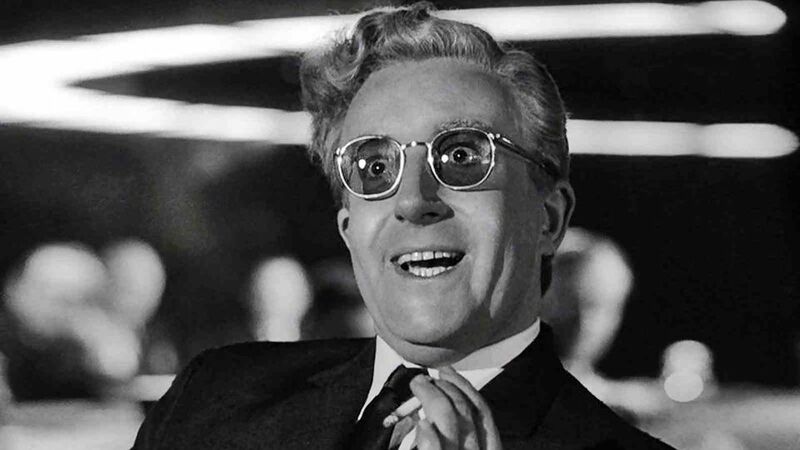 That’s all I can say regarding the inclusion of “Doctor Strangelove or: How I Learned to Stop Worrying and Love the Bomb” in AFI’s top 100. I perhaps could think of 100 movies that were not on the list that I believe to be better than this film. It’s one of the few comedies that made the list, so naturally I expected it to be humorous. While I found some remnants of wit that were not lost on me, much of the film was just odd rather than funny. It seems a combination of realism with odd interjections of the heightened reality that I normally associate with satire, but with a duller uptake than most similar movies. In moments it comes off as mildly humorous, other moments it comes off as over-the-top-goofy, other moments it comes off as odd, and still other moments the film appears to take itself seriously. It’s this indecision about what genre it is in that makes it difficult to watch. The whole film feels much like a shaggy dog story – one of those jokes where everyone acts as if it’s the funniest joke they ever heard, but when they get to the end of it, there’s no joke. This is the first film I’ve watched on the AFI top 100 that I truly don’t get. I’m sure those who love it – and I know there are many who do – will flay me for saying so, but I really believe it is highly overrated and perhaps only so because it was directed by Stanly Kubrick who famously directed dark, cynical dramas. I think much like the first time a comedic actor does a drama, people were shocked at how seemingly adequate a comedy director he was and that was more the cause of the interest in the film. One thing I will note about this film that is a curiosity: it is the fourth I’ve watched on this list that was shot using black and white long after color film had become the norm. I’m reminded of young Frankenstein which received the same treatment and is far more deserving of a place on this list than this film. I suppose the most I can say about it is this: perhaps contextually, during the cold war, this film had great value. And perhaps its addressing the cold war with a wink and a nod (if a cynical one) was more important that I realize. The Berlin wall came down shortly after my 4th birthday, so admittedly I was only so aware of the threat of nuclear war and how much people really wanted to see an offbeat comedy based around it.